His passion towards music started with organizing school parties and radio. From the second half of the 90s he is constantly reading net forums and various newspapers following up the development of electronic dance music. 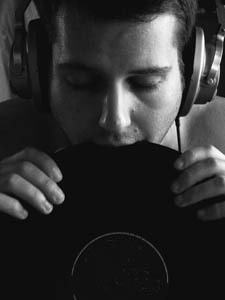 Buys his first turntable in 2000, starting to collect vinyls – his repertory covering a wide range of styles (jazz, hip-hop, disco, house and dub techno). Starts to spin records from the autumn of 2005, joins djmixes.hu in 2006 as well as the Freakyhouse project in 2007. With In:Form they join the well known and much respected Tilos radio in September 2008: their show named “Slow Down” is broadcasted every second Saturday from 17:30. His style is difficult to define, principally seeking for deeper house but always up for bringing jazz, disco and dubby elements to his music.